One of the leading UK Casinos, Nottingham’s Dusk Till Dawn, has increased it’s attraction to poker players by signing a multi-year branding and online agreement with online poker provider, Party Poker. 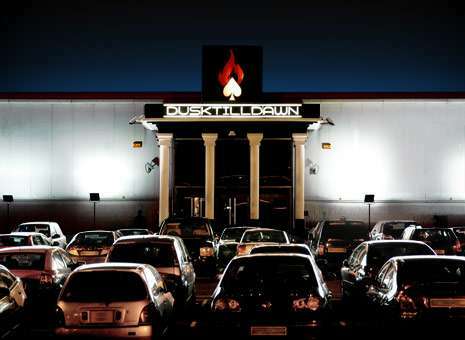 Dusk Till Dawn has long been considered by many in the UK Poker scene to be the premier location for serious poker events. They have hosted events for the WPT, UKIPT, Sky Poker’s UKPC as well as raising the critically flawed 2013 ISPT event from the pit of despair into something that actually happened. Since the ISPT, the majority of UK poker fans would accept that owner Rob Yong and his right hand man, Simon Trumper, have the best interests of UK poker in mind as they plan for the future. This announcement between Dusk Till Dawn and the former worlds biggest poker site, Party Poker seems to be a good fit. 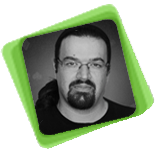 Dusk Till dawn were looking to replace their iPoker client with something that was a better fit for their client base. This is going to lead to online satellites being held on the Party Poker UK client, and the re-branding of some well known regular Dusk Till Dawn events. The monthly £300 Deepstack will be re-branded ‘The Party Poker Deepstack’ and the Dusk Till Dawn Grand Prix will be re-branded as ‘The Party Poker Grand Prix.’ Rob’s recent blog on the subject also announced that the Party Poker WPT has been agreed, at least in principle, to be held at the Nottingham venue for the next three seasons. Rob Yong did make it clear that the Dusk Till Dawn team was going to be working with the Party Poker team very closely, and he was personally in conversations with key decision makers inside the company in order to feedback the concerns of the UK poker scene. As part of the re-branding project, a partypokeruk.com is under development, and will be providing news, updates and further announcements regarding the brand. Former PokerStars EPT presenter, Michelle Orpe, is now hosting the @partypokerUK twitter account, as well as the equivalent Facebook page. The Dusk Till Dawn relationship with Blonde Poker appears to not be affected by this announcement. This deal appears to bring together the expertise and drive of the Dusk Till Dawn team, with the Party poker brand in order to increase the Party Poker UK income from 11% of their overall income. Party poker has not avoided controversy in the past, and have at various times promoted anonymous tables, removed high stakes action from the site, and have gutted the tournament structure so that most recreational players have only turbo, hyper turbo or rebuy tournaments available to them. The vast majority of the recreational buy in relevant regular speed tournaments are scheduled at times that do not work for a player in the UK with a day job. Party Poker is in need of some assistance to make it’s offerings relevant to the UK poker playing public. That’s where Rob, Simon and the rest of the Dusk Till Dawn team step in. I can’t think of many who know the UK poker scene as well as they do, and while I may not agree with every decision they make, I’m fairly convinced that they really do love the industry they work in. Poker is their lifeblood. They set up the casino floor in a way that was heavily slanted to the poker players, which is counter to the usual industry logic (pit games make a lot more money than poker), and they run what is probably the biggest UK poker forum in Blonde Poker. If this partnership is going to work, its going to require give and take from both sides. Party Poker are going to have to accept their shortcomings in their offerings to the UK, and most likely revamp their tournament schedule at the very least. I’d hope to see the feedback from Dusk Till Dawn speed and aid this process. Dusk Till dawn on the other hand have to be willing to accept that the age of internet poker is here to stay. I have seen blogs from Rob Yong talking about how HuDs (heads up displays, which are part of completely legal poker tracking software) have ruined the game, which illustrates to me that he doesn’t understand the complexities of online poker. I hope Party Poker are able to explain their industry to the Dusk till Dawn team, in order to educate and prepare them for working together. If these two businesses can come together in this way, I can only see this deal as benefitting the UK poker scene. However, if they don’t, I can see this opportunity to offer the poker playing residents of the UK a real alternative falling flat on it’s face.